Hi Friends ! today I am going to share you a trick name How To Bootable Windows In Pendrive. This is a very important thing that you must know how to do this. Please note: during this procedure you’ll lose any data on your USB flash drive. Please be extra careful during formatting, choosing the wrong drive will erase it completely. This guide provided as-is, at your own risk. Suppose you have no DVD Writer in you computer. Suddenly you see some wrong in your computer and you have to Setup your computer. If you don’t do that you can’t work on it anymore. Now, what will you do ? At that moment you must know that How To Bootable Windows In Pendrive or How To Setup Windows Without DVD. Actually I have no DVD Writer and last night I Setup Windows in my computer by a pendrive. And yes I don’t use any DVD. So friends ! are you want to know How To Bootable Windows In Pendrive ? Then you are at the right place. Let’s know How To Bootable Windows In Pendrive. To do this operation you have to do some task which is very easy. You can bootable your pendrive with software and without software . We all computer user’s use winrar or winzip . You can bootable your pendrive with these. 1. Firstly you have to download an ISO file of windows you want. 2. Your pendrive must be lower than 4GB. Cause sometime 4GB pendrive can’t effort much more space for bootable. 3. After download ISO file click the file by right button and select Winzip > Extract to/Extract here. 4. Select your pendrive and click Unzip. 5. It will take some time. 6. After complete it , now you have a bootable pendrive. You can bootable your pendrive another way by copying your disk. Let’s see how can we do that. 2. Go to start and seleck run option. 3. Click CMD in run and press Enter. 4. You’ll see a page. 5. Click DISKPART in the page and press Enter. 6. You’ll see a new page. 7. Press LIST DISK in the new page and press Enter. 8. You’ll see your disk and recognize your pendrive disk and press SELECT DISK 1/2/3(which your pendrive is) and press Enter. 9. After selecting your disk press CLEAN and then Enter. 10. 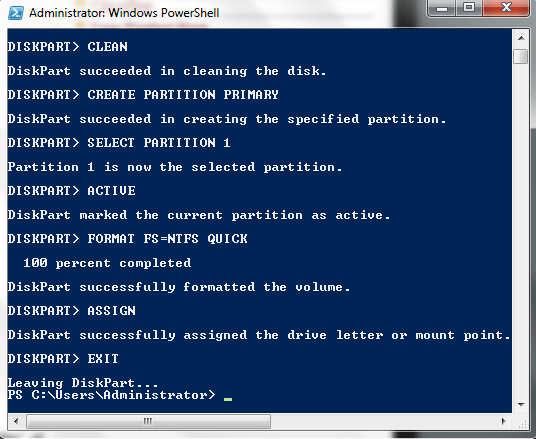 After clean is complete press CREAT PARTITION PRIMARY and press Enter. 11. Press FORMAT RECOMMENDED then Enter. 12. After completing 100% press ACTIVE then Enter. 13. Finally press EXIT then Enter. 14. Close the first page. 15. Send you windows file to your pendrive. Now you have a bootable pendrive to use.